We make wild fermented and natural hard ciders from our no-spray orchard - nothing added, just cider! 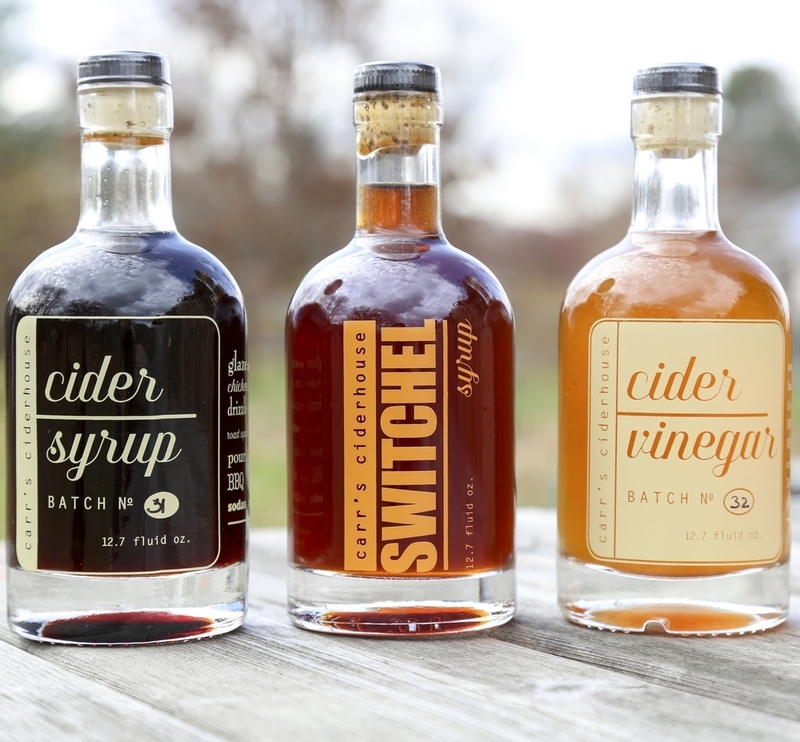 We also make simple and traditional small batch cider syrup, cider vinegar, and the best switchel syrup to cook with and drink. Our ciders are all wild fermented at cool temperatures for over 5 months. Good juice + time = great real cider! - Wild Apple Blend Cider - made with 100% unsprayed apples foraged from the wild trees surrounding our orchard and other local trees. Unsulfited, with no back-sweetening or other additions. Cider, pure and simple. The wild apples provide lovely tannins and a touch of bitter. It is dry, fruity, clean and bright. Wild-fermented. - Golden Russet Blend- Dry, fruity, and higher in alcohol, this blend features the legendary Golden Russet apple as the star of the show. Pleasantly refreshing yet not acerbic, the cider displays moderate tannins with a characteristic sugar cookie mid-palate and notes of anise. Natural cider has perlant effervescence and is still alive, like kraut or yogurt! Fermented with wild yeast from at least 50% Golden Russet apples with a carefully considered blend of other assorted cider apples and/or foraged wild apples from the locality. This cider is also a lovely base for a light cider cocktail - add fruity simple syrup, such as rhubarb or strawberry, and a sprig of mint - over ice. We are sad to say that our pommeau is completely sold out for the year. 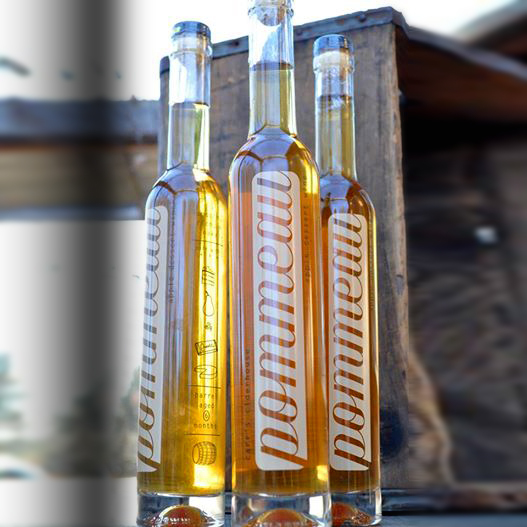 A big and gently sweet dessert cider, Pommeau is a perfect after dinner drink and digestif. Fortified with apple brandy and aged in an oak barrel, it is rich with the flavors of oak – vanilla, coconut, and caramel – the perfect flavor companions to apples! Pairings: Pairs gorgeously with chocolate and other desserts. We love it on the rocks, or served in a large snifter to maximize the aromas. This lovely full bodied vinegar packs a real fruity punch and is a little sweeter than your average. Good enough to be sipped straight! Uses: Great for deglazing and dressings. Make natural soda by mixing it in bubbly water.